Webster University welcomed over 150 new graduate students at the Graduate New Student Orientation in St. Louis. 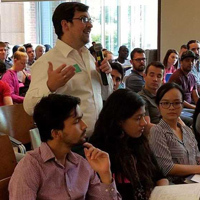 Students met University leadership and deans, heard from a panel of current graduate students, and participated in concurrent sessions ranging from career development to writing skills for graduate school. Graduate New Student Orientation is hosted in St. Louis twice a year, prior to the Fall I and Spring I terms. The Multicultural Center and International Student Affairs (MCISA) has been working hard to prepare for the arrival of new international students on the Webster Groves campus. 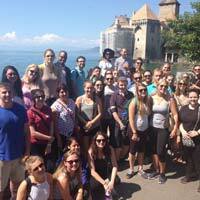 Students in this fall's class come from 28 countries around the world. Graduate student orientation kicked off Aug. 18, while undergraduate orientation begins Aug. 23. To extend our warm welcome, please familiarize yourselves with the schedule of events and resources available to help new students when they first arrive. Come join the New Student Orientation (NSO) team in welcoming our new students to campus during NSO Weekend. We need your help as Orientation Volunteers (OVs) to make NSO 2018 vibrant, energetic, and memorable for our incoming Freshman, Transfer, and International First Year Students in their first days as new Gorloks. 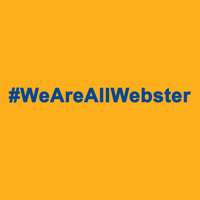 As students return to campus in the wake of events of violence, hatred and intolerance around the world, Webster University President Elizabeth J. Stroble and Provost Julian Z. Schuster share a message about embracing our differences, rejecting hatred and exclusion, and nurturing a welcoming campus community. Welcoming our new and returning undergraduate and graduate students is crucial and impactful for Webster University. 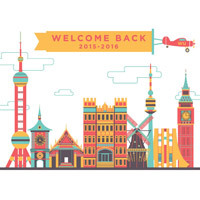 Again this year the Department of First-Year Experience Programs and the Welcome Student Committee is in need of your help during the weeks of August 21- 31. We have a variety of ways in which you can assist. Let us know when you can offer your time and energy as the fall term begins. 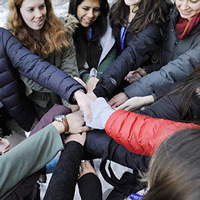 Webster Geneva's Spring New Student Orientation welcomed 77 new students from all over the world to the campus in Bellevue, Switzerland, including 50 through the Webster International Network Schools program. The students were thrilled to be "exposed to so many different cultures and languages" among their classmates, and enjoyed an orientation trip to Chamonix in the French Alps. 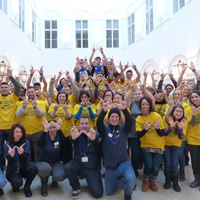 New Student Orientation in Vienna featured a variety of activities on campus and off campus, including a trip to IKEA, bowling, an Austrian-style dinner, and ice skating at the famous Rathaus (city hall). A great team of student volunteers, staff and faculty helped welcome the newest Gorloks to Webster. 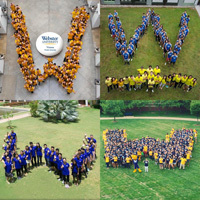 An annual tradition of New Student Orientation activities at Webster University is the forming of a "W" in the quad to show school pride and unity. Last weekend saw that tradition come alive once again. Here's how it looked at campuses in St. Louis, Geneva, Vienna and Cha-am. 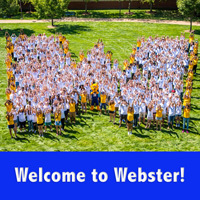 Get involved in Webster's New Student Orientation (NSO) Weekend Aug. 18-21 through the Guidebook app, an interactive way to follow along with NSO 2016 as home campus kicks off the academic year for the incoming freshmen and transfer students. 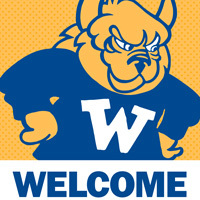 Simply install the free Guidebook app to your smartphone, download the “Webster University New Student Orientation 2016” guide to gain access. Ziplines, bubble games, the human "W" and more: see more photos and video of new students experiencing orientation to Webster University at its campuses around the world. 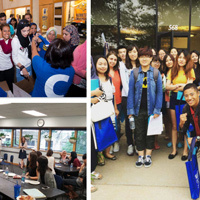 Explore and share photos and video of new students experiencing orientation at Webster University campuses throughout the world.